There are ‘special places‘ all over the world — some familiar, others not so much. Grab a pair of headphones, and I’ll sonically take you to one in Russia. I recently returned from the Russian Federation, and a research field trip: a circle tour of churches, monasteries, and Orthodox shrines ringing around Serpukhov, a small city south of Moscow; special places near the confluence of two rivers and two geophysical faults (more on the significance of this in a moment). Serpukhov has a religious history that dates back to the 14th century. During the Soviet Era, it was an important military and industrial city; it’s presently the home of the Military Academy of Missile Troops of Peter the Great. In 1983, a false alarm nearly triggered a global thermonuclear war. Pop this view of the Vladychny Convent into Google Cardboard or a VR (virtual reality) smartphone headset for a 360 panorama. Serpukhov’s magnificent religious-inspired architecture, constructed over the centuries, fell on hard times by the 1930s. And it wasn’t until perestroika, and the 1990s, monasteries, such as Vysotsky and the Vladychny convent were lovingly restored and maintained. I made a ‘binaural audio’ recording of the bell-ringing pattern that’s unique to the Orthodox Christian tradition. 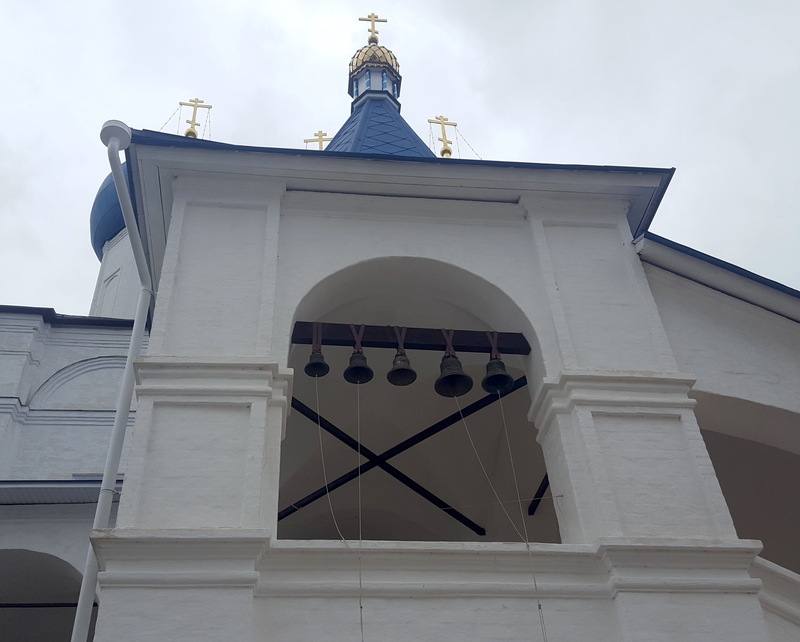 These bells — kolokol in Russian — were rung at a quarter-before-the-hour. It was the first time I heard the Orthodox way of bell-ringing in the flesh — an immersive sound that intrigued and eluded me for over seven years — it was worth the wait. The first thing you hear (put on headphones, please) are jackdaws (the Russian raven); they chime along with the bells — ducking in and out — here and there. 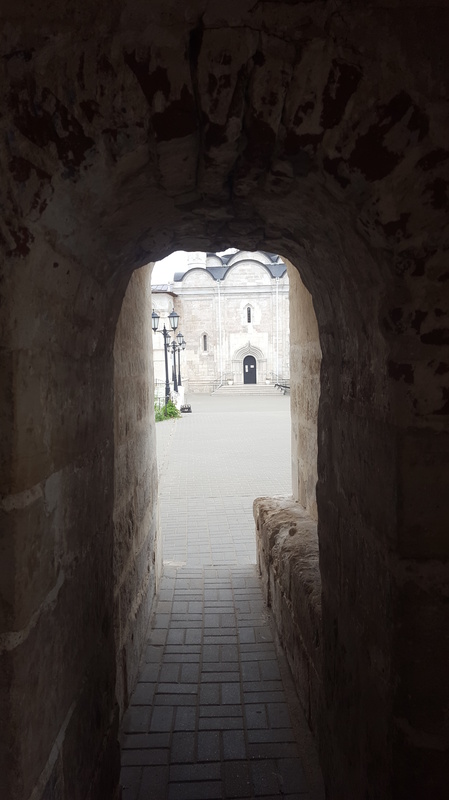 An entrance way into the Vladychny convent. 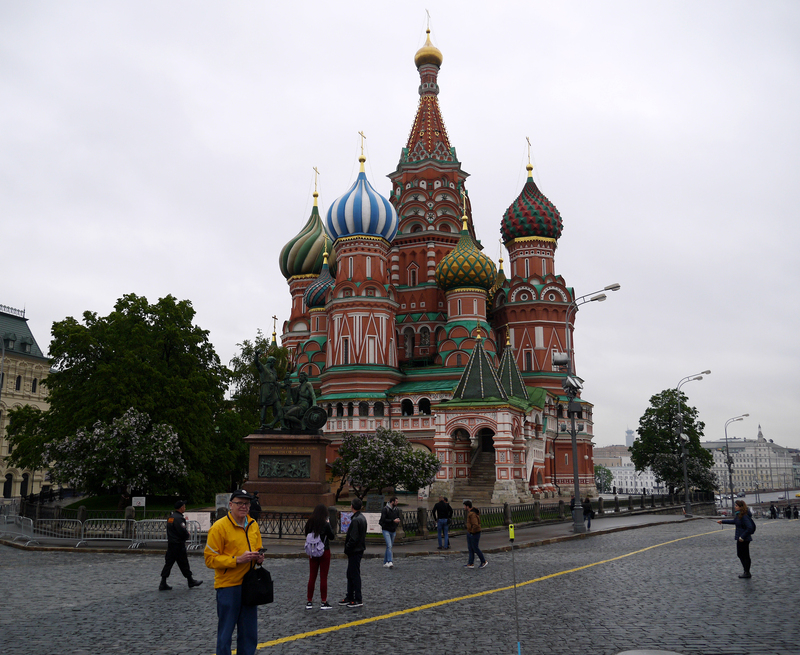 This is a very special place for Russian Orthodox Christians. From the outside, the visitor is greeted by a formidable wall and ‘squeeze & release’ architecture that opens into a tranquil sanctuary. On this day — a Tuesday — visitors from near and far have come to make their peace, and to find it here. The continuous flow of spring water is ‘sweet’ to the taste. 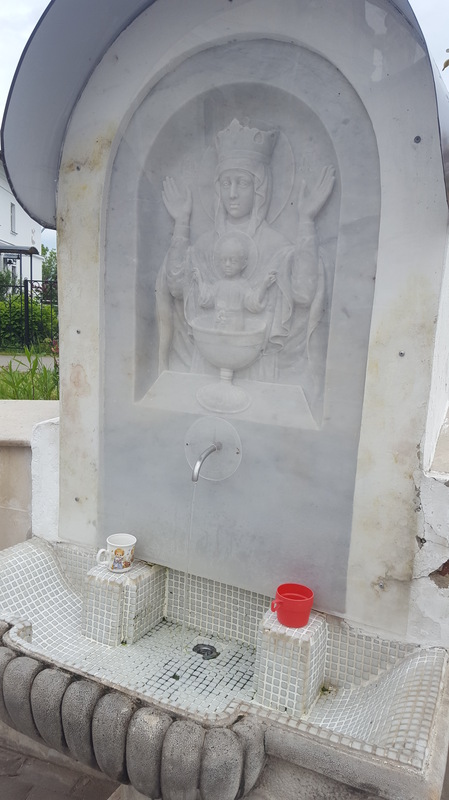 There’s a sacred spring, an artesian flow that you can drink from — a certain sweetness of taste lingers — the fountain is one of the attractions that beckons pilgrims. Another key attraction is the Inexhaustible Chalice, an icon considered miraculous by the faithful; it’s venerated as a cure for alcoholism, and other addictions. My copy of The Inexhaustible Chalice copy made in 1996. 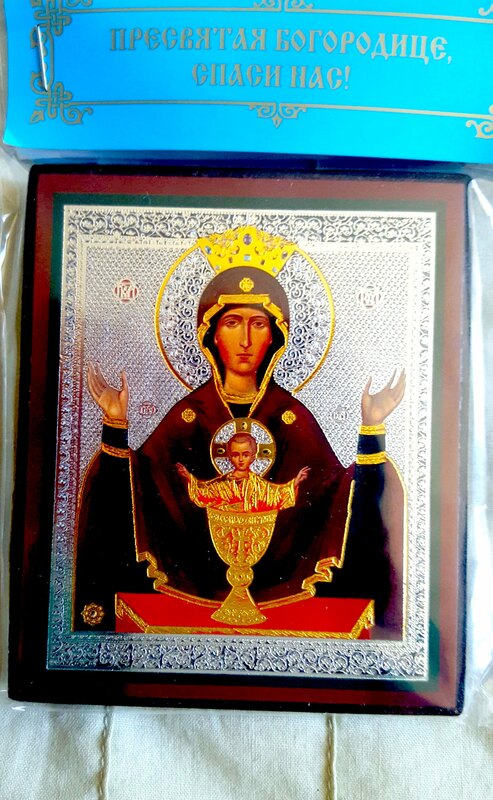 This is a copy of the icon — the original was destroyed when the church that housed it at the convent was plundered during the Soviet Era. Orthodox Christians believe the icon is still potent, regardless of it being a copy, in the sense you can feel its presence. The bells are transformative too. Listening with my eyes closed (recommended) I felt the sounds were alive with spirit. Don’t ask me to explain it — please listen for yourself — tell me how you feel. Now about the geophysical fault lines that converge on this special place: there are other spots in the Russian Federation, and notably in Crimea, that over millennia have attracted monasteries, churches, and former pagan sanctuaries constructed near prominent faults. 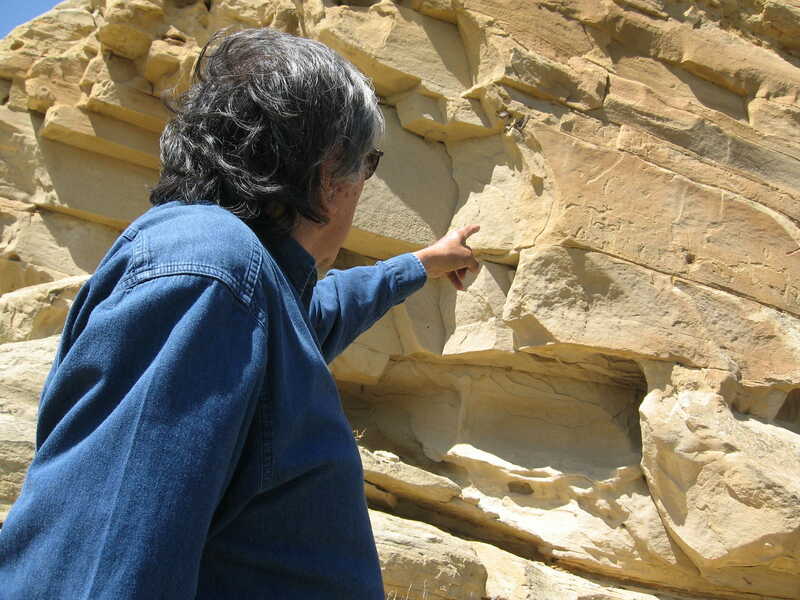 Russian scientists, such as my host Igor Florinsky, have investigated a relationship between sacred places and geophysical activity; transient phenomena — its reported affect upon human cognition — is strikingly similar to what I’ve recorded, and in some instances experienced, at special places in Canada. I’ll have more news before the summer is out. And with this posting, I start in on remaking an ‘immersive narrative’ familiar to our ancestors with the new ‘immersive medium’ for the 21st century — virtual reality. Thanks to Canada Council for the Arts for a ‘travel grant’. Getting close to lift off! Lots to tell since my last post — all of it good news for INSIGHT TREKS. A generous Writers Grant from the Alberta Foundation for the Arts was instrumental in the creation of a ‘first draft’ (completed the first week of August); I also tested several ideas on how to present the materiel — demonstrations of key features of INSIGHT TREKS as ‘locative media’ (for instance, immersive 3D soundscapes derived from ‘special places’ — more on that in a moment). 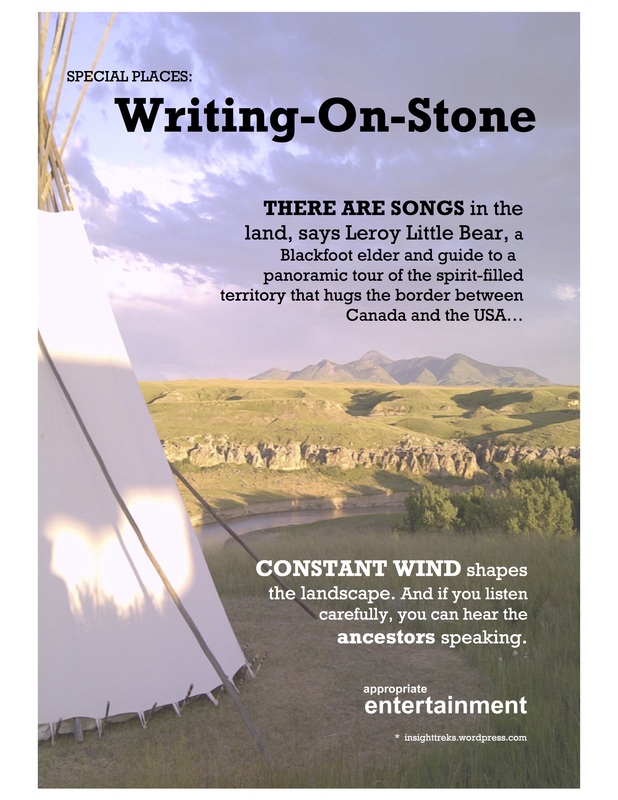 Some of that content was presented as Sound Never Ages, a TEDx talk I gave to an enthusiastic crowd of 1,500 people at the Jubillee Auditorium in Calgary. When you watch the short twelve minute video, you’ll see some of the locations that will be in the final INSIGHT TREKS presentation. In consort with the Edmonton Heritage Council, I created Edmonton Soundwalks “an innovative mobile app that combines archival audio with commentary to create vivid sound portraits of important landmarks”, a map of the cultural heart of the city. As a proof-of-concept, the 3D audio app (which you can download for Apple IOS and Google Android platforms at no charge) will give you a sense for what INSIGHT TREKS will sound like (use headphones or earbuds for the 3D immersive effect). Reviewers in the Edmonton Journal and Metro newspapers were quite keen on the free app for mobile phones and tablets. 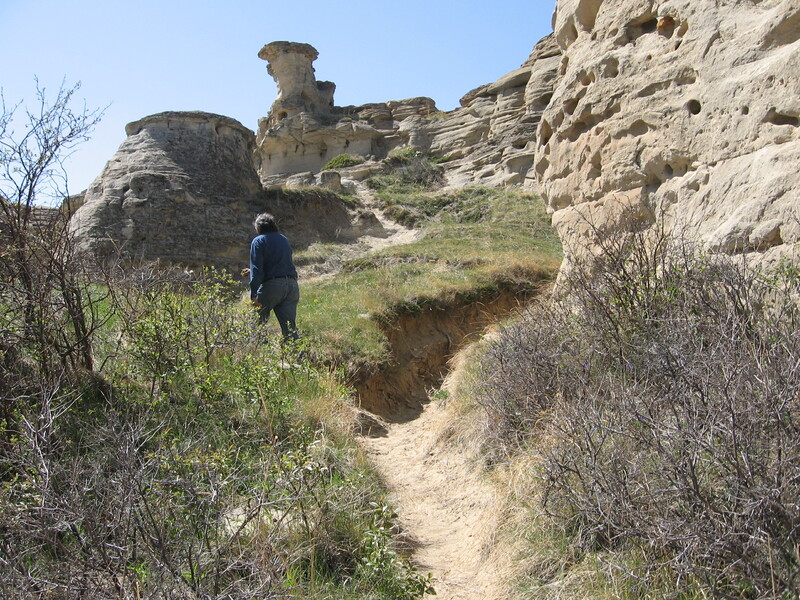 Since my last posting, I’ve given several talks at conferences about INSIGHT TREKS; I spoke about ‘special places’ as medicine; as a potent mnemonic device to transmit cultural memory over time; and that these extraordinary spots have personalities, as unique as you and me. At Toward A Science of Consciousness, a conference hosted by the University of Arizona at Tucson, I was interviewed for a new film featuring the ‘rock stars’ of consciousness research; among the notables you’ll see in this trailer are John Searle, Daniel Dennett, Deepak Chopra, Stuart Hameroff, Susan Blackmore — and me. When should you expect to hear and see INSIGHT TREKS? Mid-November at the earliest (and well before the holiday season kicks into high gear). Meantime: if you’re near the University of Calgary, consider joining me for this opening at the Kasian Gallery (in the Faculty of Enviromental Design). Please come and say hello!